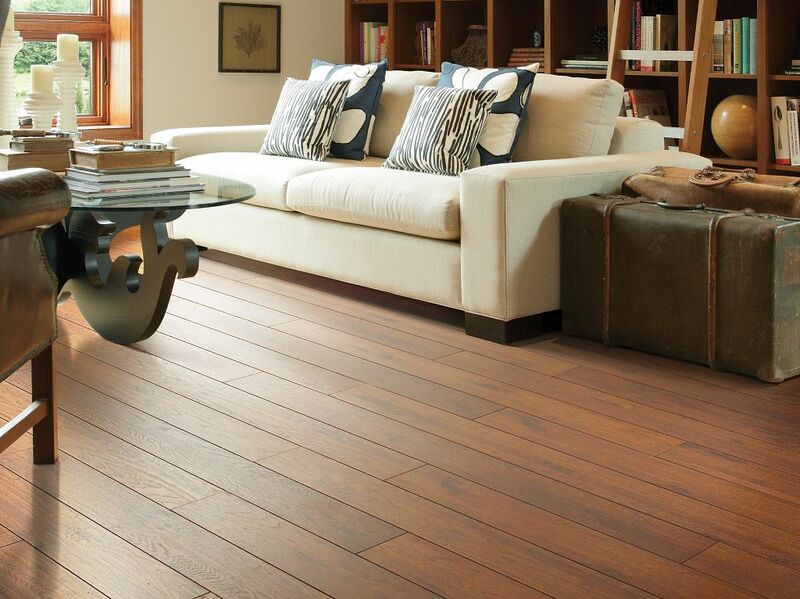 Shaw Laminate Flooring is naturally durable, making cleaning a breeze. Here, we’re going to give you the crash course on how to care for your Laminate flooring and keep it looking great for years to come. The main thing you should remember is that moisture and wood don’t mix – period. Since our Laminate is made with wood, avoiding its exposure to moisture is a must. Do not wash or wet mop the floor with soap, water, oil-soap detergent or any other liquid cleaning product. This could cause swelling, warping, delamination, and joint-line separation, and void the warranty. A more frequent dust-mopping or vacuuming schedule may be required in very sandy areas such as a beachside home. Shaw's R2X Hardsurface cleaner is the best way to care for your laminate floor and will keep it looking great for years to come. R2X Hardsurface cleaner should be sprayed onto the floor lightly and then wiped away with a soft cloth, terry cloth mop or microfiber mop. It is important to note that if you wash and re sue your mop heads, you'll want to avoid the use of any kind of fabric softener in the wash or in the dryer. Fabric softeners contain chemicals that can lead to a dulling build-up over time on your laminate floors. Another cleaning system that may seem like a good idea is the use of dry magnetic-types of pads that attract dirt and soil. These should be avoided as well. They can also cause a buildup over time that will cause your laminate floors to look dull. It is easier to keep your laminate looking beautiful using the correct products than it is to try and undo damage caused by a product that's not suited for your flooring type. As appealing as it may seem, avoid using home-made cleaners composed of products around the house and remember, never wet mop! As we mentioned in the first bullet point, never, ever use a steam mop of any kind. Steam mops use heated water that forces steam onto the surface of your floor. The joints in between the laminate planks lock together nicely and we work to ensure that they lock together very well, but they are not waterproof. Steam can and will make its way into the joints and steam is water. This steam from a steam mop can cause damage to your floor in the form of peeling, bubbling and swelling. Damage caused by these types of cleaning systems are not covered under your flooring warranty. Keep your Laminate flooring looking brand new. Entry mats will help collect the dirt, sand, grit and other substances such as oil, asphalt or driveway sealer that might otherwise be tracked onto your floor. Non-Heating Season (Wet): An air conditioner, dehumidifier, or periodically turning on your heating will help to maintain humidity during summer months. Use a protective mat for furniture or chairs with castors.